Saudi Arabia’s lagging economy has left thousands of Indian workers stranded without jobs. Their situation made headlines in early August when the Indian government stepped in to ensure its citizens had access to basic necessities such as food and water. The incident highlights the current turbulence in the Saudi economy – especially considering that migrant labour constitutes half the Saudi workforce. A comprehensive reform initiative announced in April seeks to wean the state off its dependence on oil, which is currently trading at historically low prices. 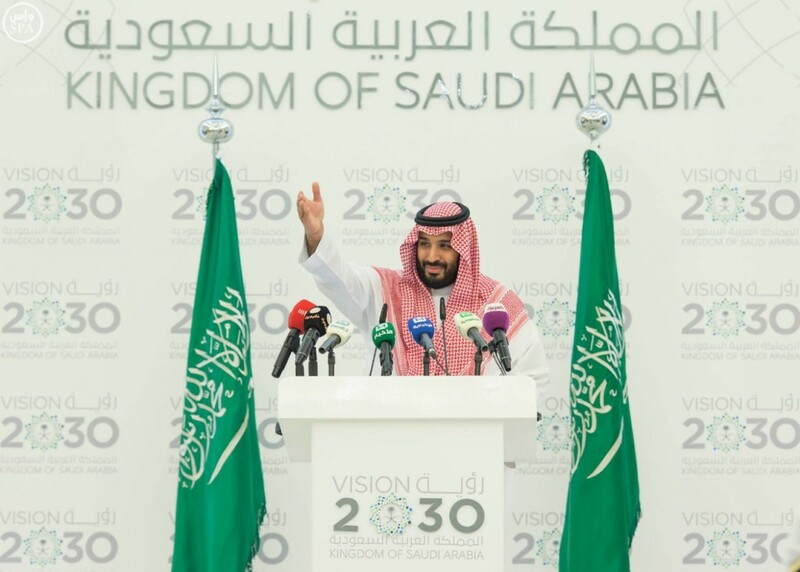 The plans to reshape the economy will have a major impact on Saudi Arabia’s society – if the monarchy can successfully implement them. The current Saudi economy is heavily reliant on oil. In 2014, oil rents formed more than one-third of GDP. Over the last decade, these rents have provided the Saudi monarchy with a significant income stream, but the 2014-15 collapse in oil prices cut the kingdom’s revenue by up to three-quarters. The central bank has plugged the gap by drawing on its foreign reserves, but theses have dwindled alarmingly, from $732 billion in 2014 to $632 billion in just 12 months. The Kingdom has also secured billions in capital from private lenders and is widely expected to launch its first international bond issue in the coming months. 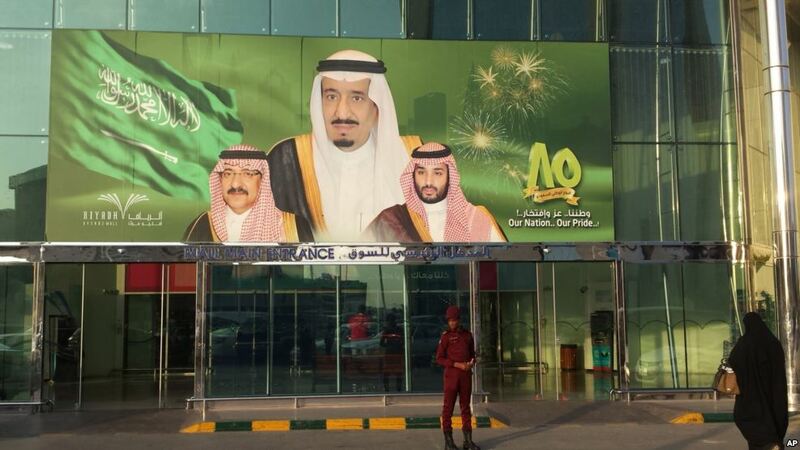 Riyadh’s shortage of revenue has forced the government to renew its reform agenda. 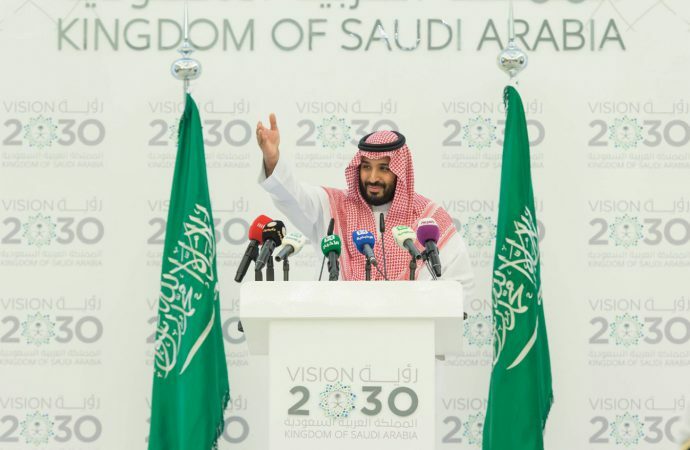 In April, Crown Prince Mohammed bin Salman laid out a long-term roadmap for change called Vision 2030. The centrepiece of the plan is the sale of 5 percent of oil giant Saudi Aramco, which will boost Saudi Arabia’s sovereign wealth fund – the Public Investment Fund (PIF) – by $2 trillion. This capital will then be invested at home and abroad and its rents used to help fund the Saudi state. PIF is already at work. Last July, it acquired a 38 percent stake in a South Korean construction company and has since invested over $1 billion in Russia; the prince has also alluded to targets in the financial sector. Domestically, PIF will encourage entrepreneurship, with the government last week approving the creation of a $1.1 billion fund to develop the venture capital industry and support innovative small- and medium-sized companies. State-led investment is expected to focus on expanding developing industries such as mining and tourism. According to Saudi forecasts, this will create almost half a million private-sector jobs over its first five years and cost some $80 billion. 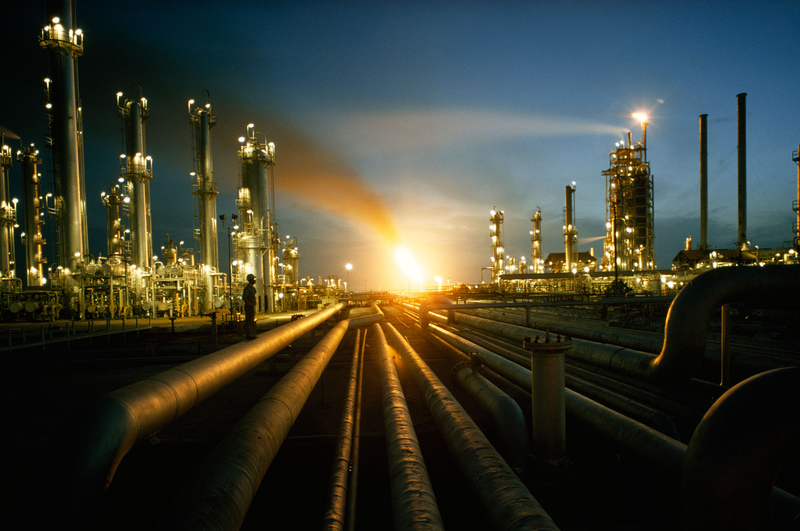 The established energy sector will face a major overhaul, with efforts to transition domestic production to renewable energy, particularly solar, leaving more hydrocarbons for exports. In addition, Vision 2030 seeks to develop a domestic arms industry, which would capture some of the current capital outflows. Saudi Arabia is the world’s third largest military spender but just 2 percent of its defence expenditure is on locally produced equipment. The plan aims to boost that to 50 percent, injecting tens of billions into the domestic economy. Saudis will take a significant financial hit as part of the reforms. The National Transformation Plan (NTP) announced in June is an ambitious set of ‘quick fixes’ intended to address the nation’s current fiscal troubles. The public service is on the frontline, with the NTP to reduce public wage expenditure from 45 percent to 40 percent of the national budget. This is a major decision given that two-thirds of the national workforce is employed in the public sector. Generous subsidies on water and electricity will also be scaled back and an income tax introduced. This will save the government almost enough to fund its investment in tourism and mining but will hurt household budgets. Consequently, the NTP risks upsetting the patronage system on which the monarchy relies. In time, its plans to transition public service employees to the private sector and impose an income tax may lead to historically familiar calls of ‘no taxation without representation’, with all the fraught reforms and political conflict that entails. 30-year old Prince Mohammad is the key driver of reforms. He has consolidated more power than anyone in his position, with simultaneous roles as second deputy prime minister, defence minister, chief of the royal court, and chairman of the Council for Economic and Development Affairs. A grandson of Saudi Arabia’s founder and first king, Mohammad is also second in line to the throne. Yet royal succession in Saudi Arabia can be treacherous. Royal scheming may see Prince Mohammad’s reform agenda undermined by rivals, such as his older cousin, current interior minister, and crown prince, Mohammed bin Nayef, who want to weaken his position. Another challenge to Vision 2030 could be Saudi Arabia’s youth bulge. People under 30 years of age constitute two-thirds of the population. Though they are well educated, they are chronically underemployed and more than half have degrees ill-suited to private sector employment. This makes Saudi Arabia a potential victim of the ‘youth bulge theory’, which posits that young and unemployed populations create large pools of disaffected youth who are more susceptible to rebellion or terrorism. In the wake of the Arab Spring, which was spearheaded by young people, the latent threat to the monarchy is clear. Addressing their concerns – which include cost of living, affordable housing, and crime – will be critical to both the success of the economic reforms and political stability. The Ministry of Economy and Planning believes Vision 2030 will deliver this by bringing total unemployment to 0 percent by 2025. More realistic baseline estimates put unemployment at a healthy 6 percent. However, a ‘no action’ scenario will see unemployment soar to 17 percent by 2025, a level that could seriously undermine social and political cohesiveness. This adds pressure to the pace of reforms. Vision 2030 looks to bring 1.3 million women into the workforce. This could provoke resistance from the nation’s powerful and ultraconservative Islamic clerics. Women face severe social restrictions, including bans on driving or shopping without a male guardian, as a result of religious edicts issued by the clerics. While the alliance between the clerics and the House of Saud has been essential to the monarchy’s religious legitimacy as the ‘defender of Islam’, it now risks hamstringing modernising reforms. The state has attempted to circumvent the clerics’ rulings by a number of means, including building women-only industrial cities and investing $3.5 billion in Uber services to enable women to travel to work. However, as the reforms are rolled out, they will increasingly clash with the religious establishment’s ultraconservative social values. Compromises may have to be made, which could undermine the extent of economic change. Vision 2030 is an extremely ambitious project. It seeks to turn a rentier state into a developed economy within 14 years. The Saudis may have missed the opportune moment to reform during the giddy years of high oil prices. Now they are racing against the clock, with soaring budget deficits, depleting currency reserves, and a restless youth piling on the pressure. Reform will now have to happen quickly, which will stress the state’s fiscal situation and its conservative elite. It’s a gamble, and Prince Mohammad is staking more than his own political fortunes on the success of the project; the fate of the nation could well be on the line.